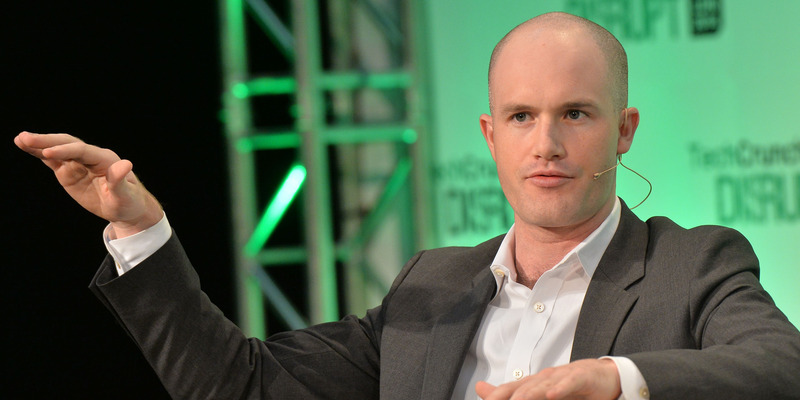 Anthony Harvey/Getty Images for TechCrunchCoinbase CEO Brian Armstrong said Wednesday the company would investigate accusations of insider trading. Coinbase has been accused of insider-trading after bitcoin cash‘s price surged 40% following the enabling – and subsequent disabling- of the token by the cryptocurrency exchange. “Given the price increase in the hours leading up the announcement, we will be conducting an investigation into this matter,” CEO Brian Armstrong said in a blog post. Litecoin creator Charlie Lee had faced similar allegations. He announced in a Reddit post on Wednesday that he had “sold and donated” all of his litecoin holdings over recent days, motivated by criticism from people that he was trying to influence the price of litecoin with his tweets. Global cryptocurrency markets are now averaging the same daily trading volumes as the New York Stock Exchange. 24-hour trade volume in the cryptocurrency market passed the $US50 billion mark on Wednesday, according to data provider CoinMarketCap.com. The NYSE generally averages from $US25 – $US50 billion per day. Still new to cryptocurrency trading? Business Insider Intelligence has your your essential guide to buying and selling digital tokens.